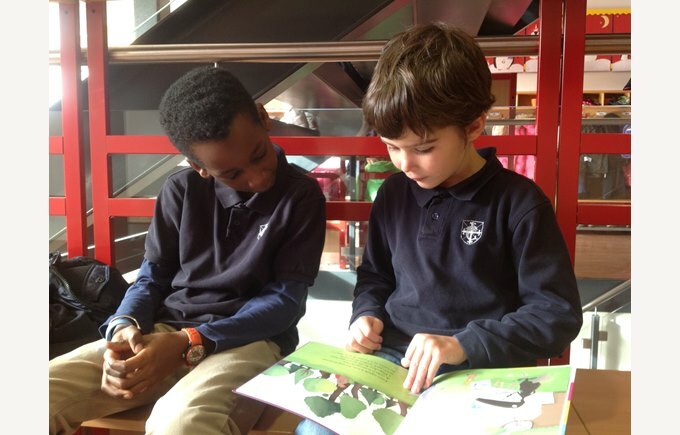 As part of their reading project, students of a 7th grade class meet up once a month with students of a 3rd grade class. At the first meeting, older students read a story to a younger student. Now it is the turn of younger students to read a book to an older student. These meetings are an opportunity to read aloud to others but also to create links between our older and younger pupils. Monthly meetings are eagerly awaited by students in both classes!